We know you are very busy AND it's freaking cold outside! So, we have one question: How do you plan on making 2018 the best year you've ever had for yourself and students? 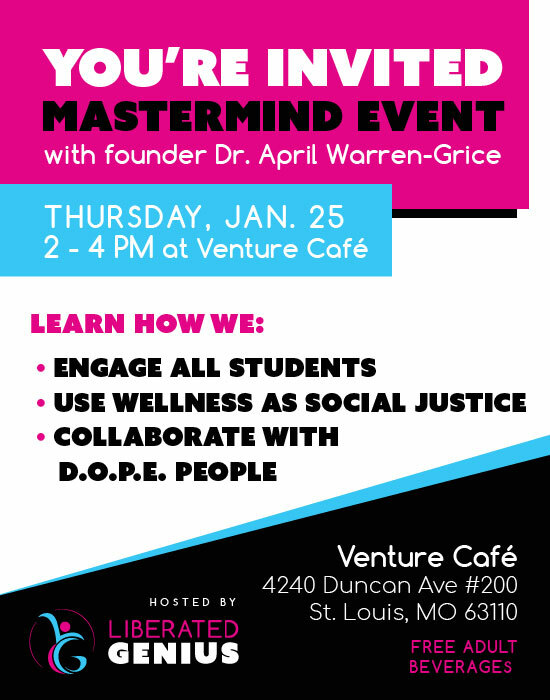 I invite you to come as I share how we LIBERATE the GENIUS in ourselves, educators, students, parents, and communities. Find all the details about the event HERE. Angela Davis, political activist, scholar, author, and speaker, is speaking on January 24 at Washington. University. Details here. Copyright © 2018 Liberated Genius, All rights reserved.